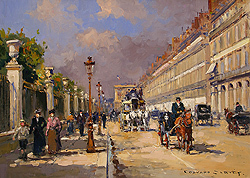 Cortès was born in Lagny, France on April 26, 1882. 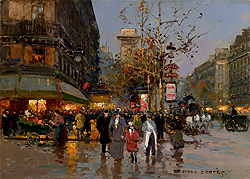 During his early lifetime, Paris was the center of the art world. 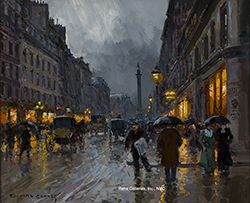 Artist from across the globe traveled there to study and paint it’s beautiful countryside and cities; views of Paris, or as it became known ‘the City of Lights’, were in great demand by both collectors and tourists. 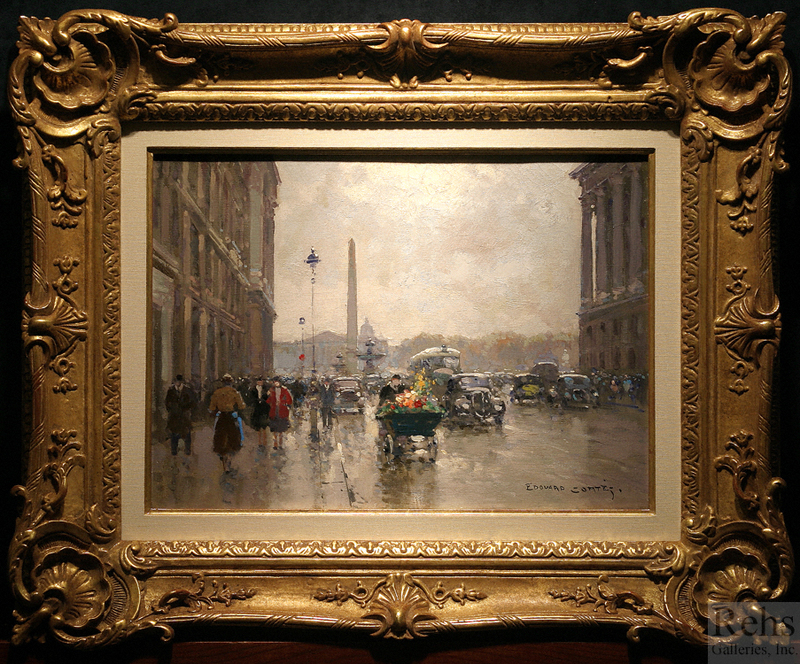 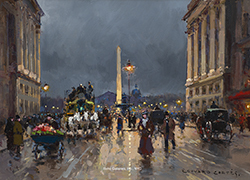 Edouard Cortès, along with other artists like: Eugene Galien-Laloue (1854-1941), Luigi Loir (1845-1916) and Jean Beraud (1849-1936) answered their call. 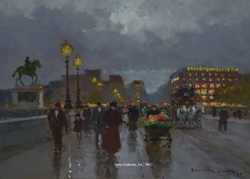 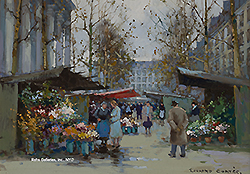 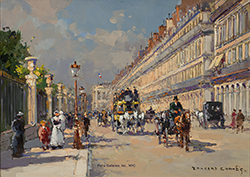 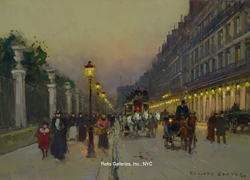 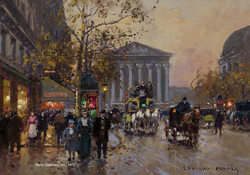 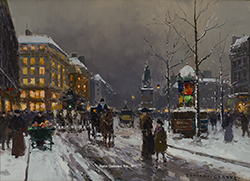 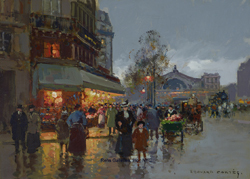 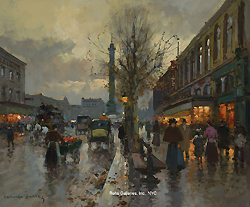 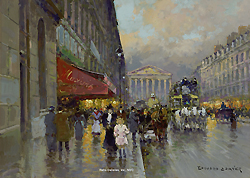 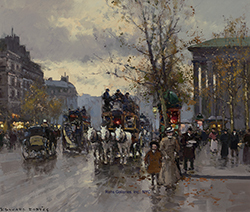 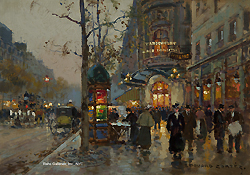 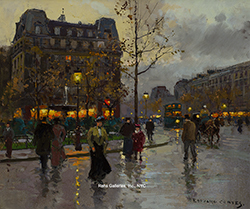 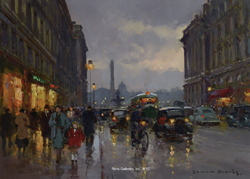 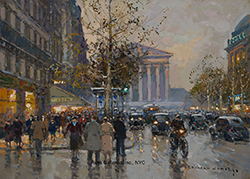 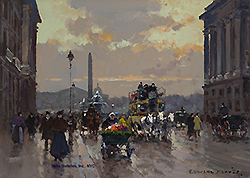 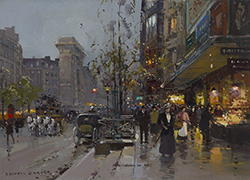 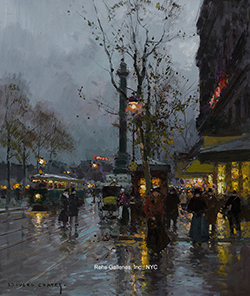 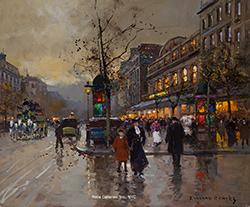 Specializing in Paris street scenes, each of these artists captured the city during its heyday and continued with these scenes well into the 20th century. 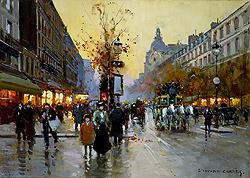 Edouard was the son of Antonio Cortès – the Spanish Court painter – who was himself the son of the artisan André Cortès. 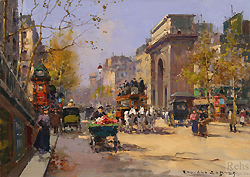 Antonio was born in Seville in 1827 and established himself as a painter of rural genre. 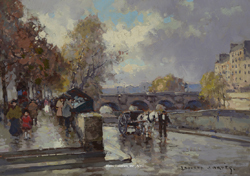 In 1855 he traveled to Paris for the Exposition Universelle and was drawn to the town of Lagny-sur-Marne – where he settled. 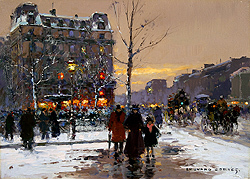 He continued to paint scenes reminiscent of Troyon, Jacque and Van Marcke. 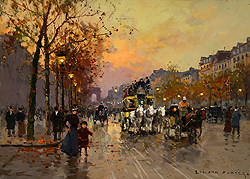 Antonio had three children - Édouard, Henri and Jeanne - and while all had artistic talent, it was Édouard who had the passion. 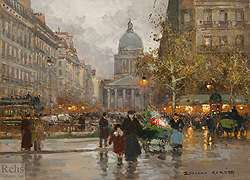 Antonio began teaching Edouard at an early age and enrolled him in a private elementary school where he continued his schooling until the age of 13. 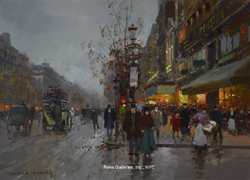 From this point on he devoted his life to art – working and studying with both his father and older brother. 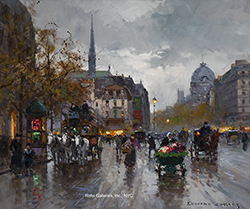 In 1899, at the age of 16, he exhibited his first work at the Société des Artistes Français entitled La Labour. 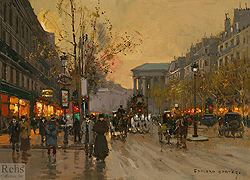 The work was well received by the critics and the public - helping establish Édouard’s favorable reputation in Paris. 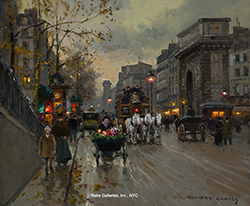 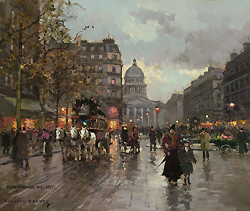 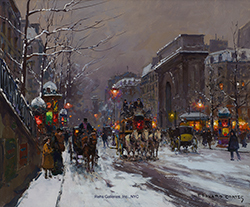 It was at the turn of the century, c.1900, that he began to paint the scenes that he would become most famous for – Paris’ streets and monuments. 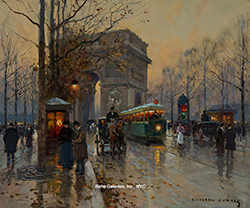 One of the more prolific artists of his time, Cortès found his niche and stayed with it. 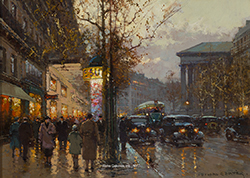 His views of Paris are among the most telling and beautiful images of this genre; capturing the city during all it’s seasons for more than 60 years. 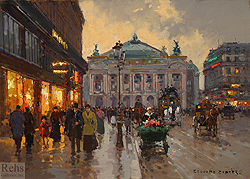 Edouard married Fernande Joyeuse in 1914 and had a child – Jacqueline Simone in 1916. 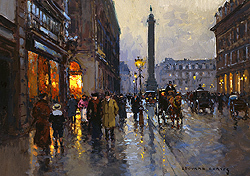 Fernande died in 1918 and shortly thereafter Édouard decided to marry his sister-in-law Lucienne Joyeuse. 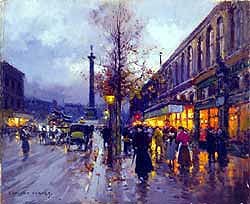 They settled in Paris and Edouard continued to paint views of Paris. 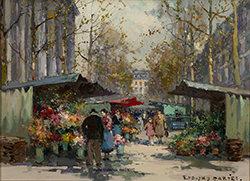 By the mid 1920’s, Edouard and his family moved back to Lagny (in Normandy) and he began painting scenes of country life - including landscapes, interior scenes and still lives. 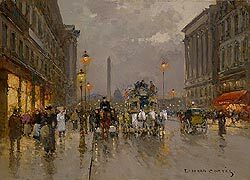 He was an active member of the Union des Beaux-Arts de Lagny and was the Unions first president. 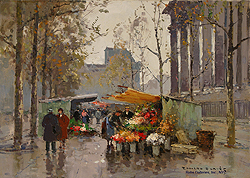 Their inaugural exhibition was held in 1927 and Cortès continued to exhibit there until the late 1930’s. 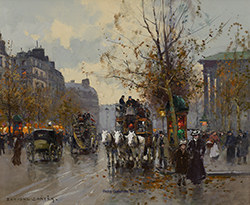 During this period he received many awards, gained great notoriety and was a frequent exhibitor at the exhibition halls in Paris, including the Salon d’Automne, Salon d’Hiver, Salon de la Société Nationale de l’Horticulture and Salon des Indépendants. 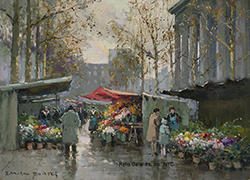 During the years of World War II, Cortès and his family spent their time in Cormelles-le-Royal (in Normandy) in an attempt to remove themselves from the harsh realities of war. 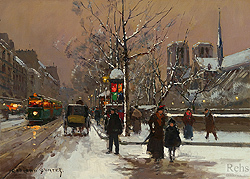 By the early 1950’s he had relocated to Lagny, where he would remain for the rest of his life. 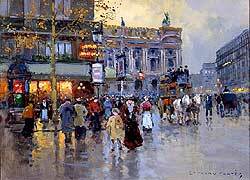 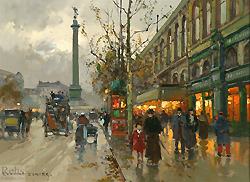 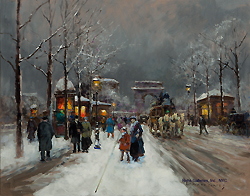 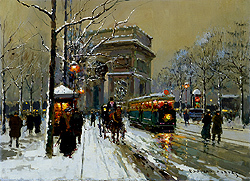 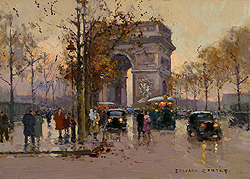 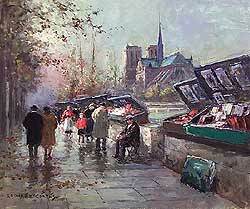 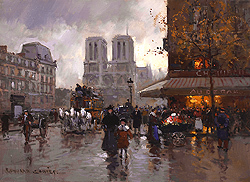 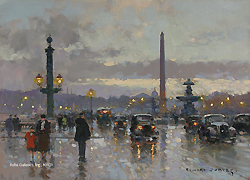 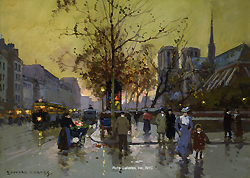 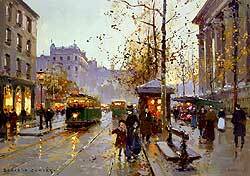 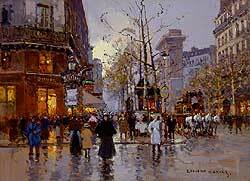 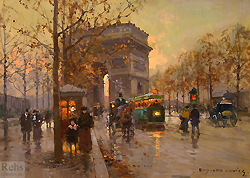 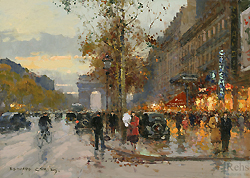 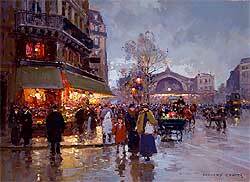 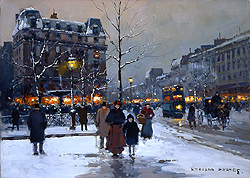 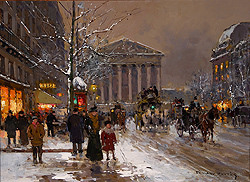 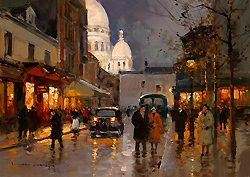 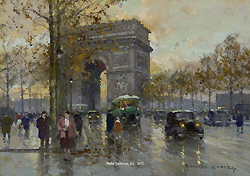 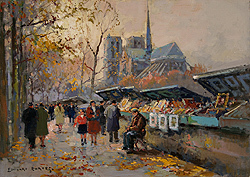 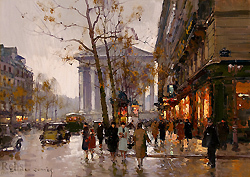 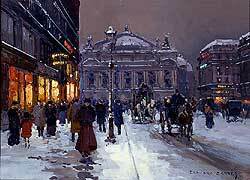 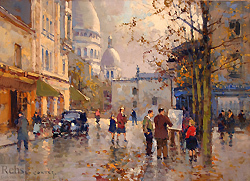 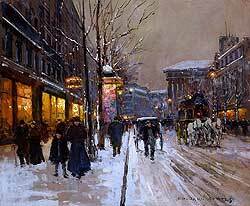 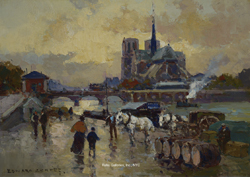 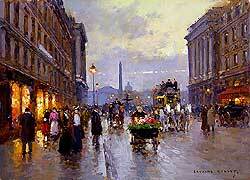 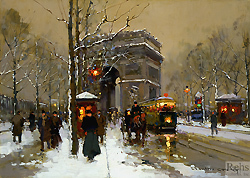 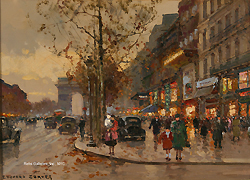 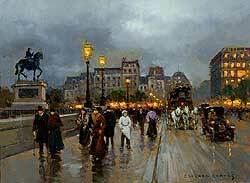 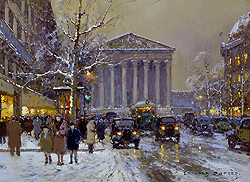 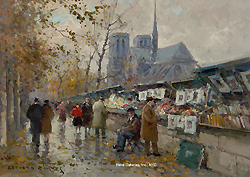 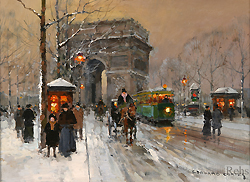 His beautiful depictions of Paris were always in demand and he continued to paint them until his death in 1969. 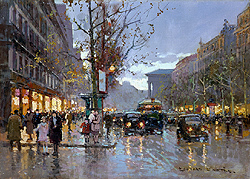 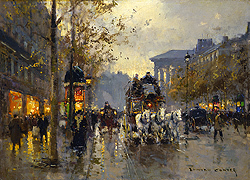 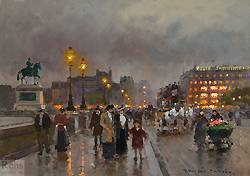 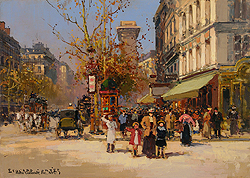 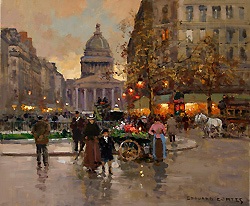 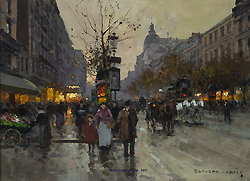 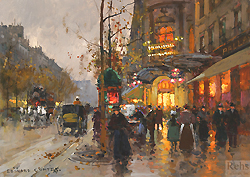 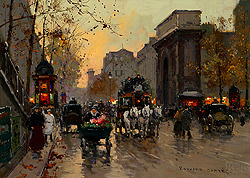 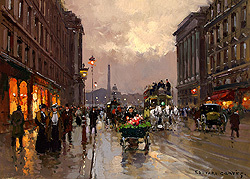 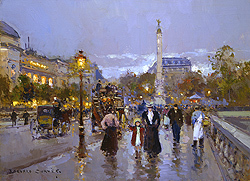 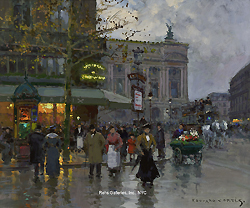 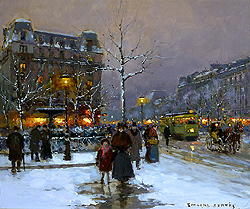 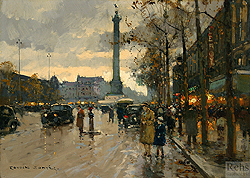 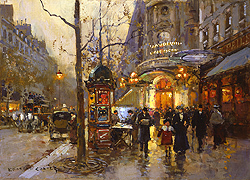 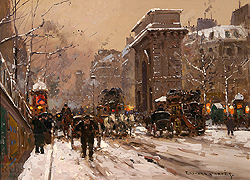 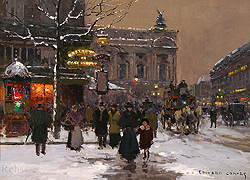 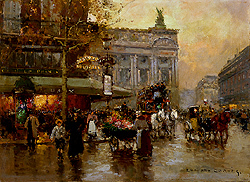 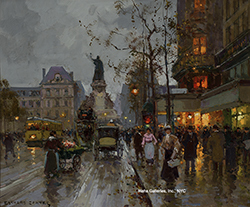 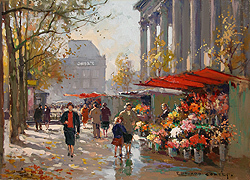 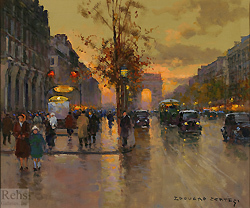 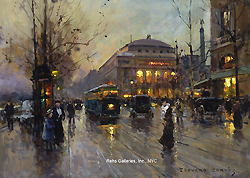 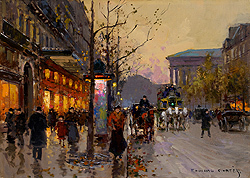 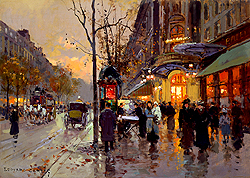 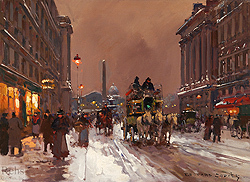 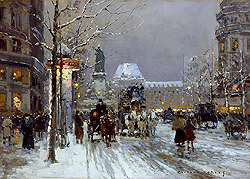 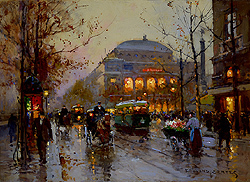 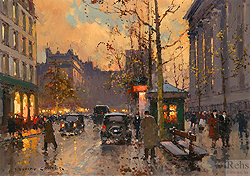 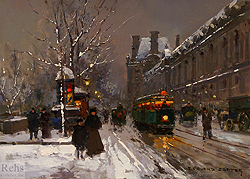 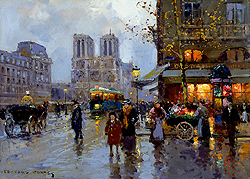 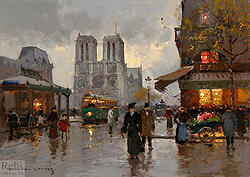 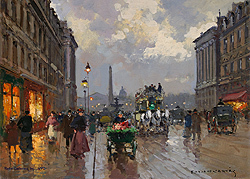 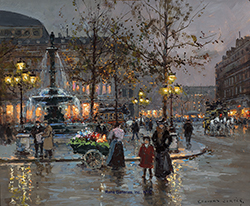 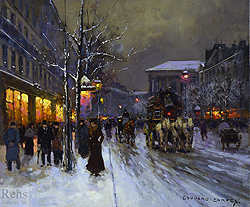 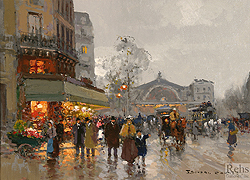 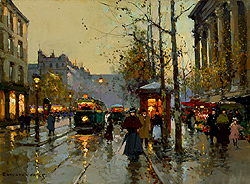 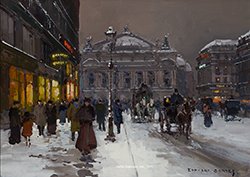 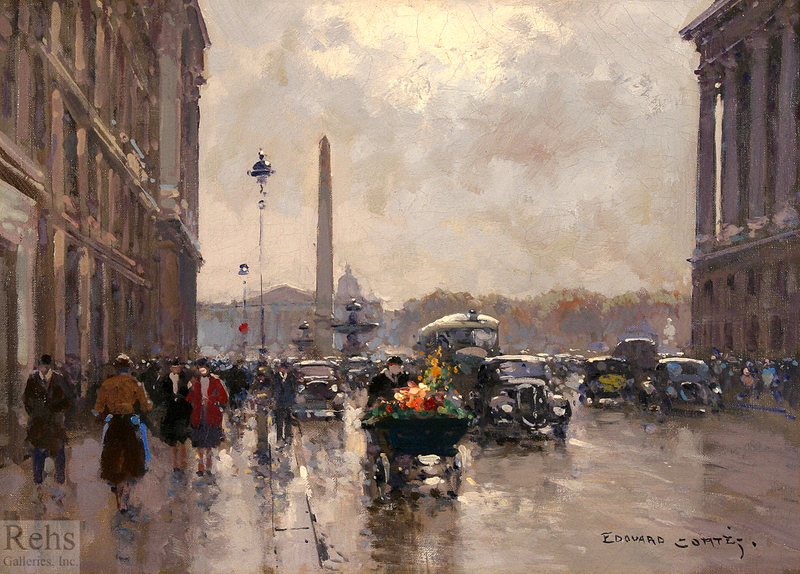 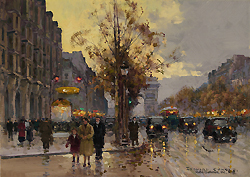 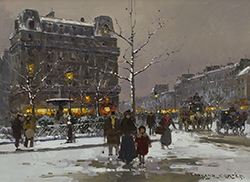 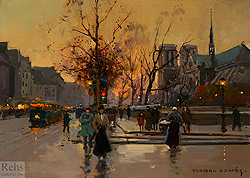 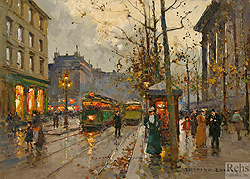 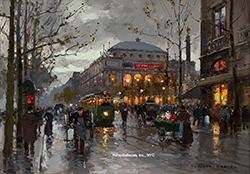 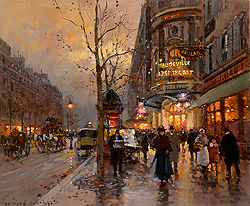 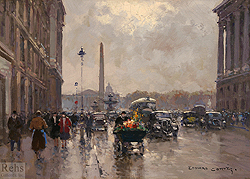 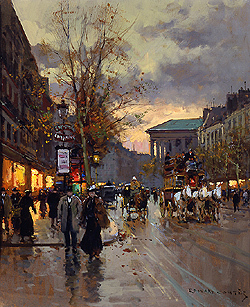 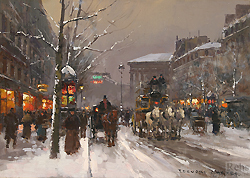 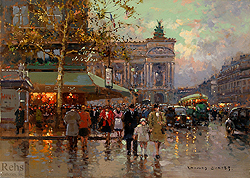 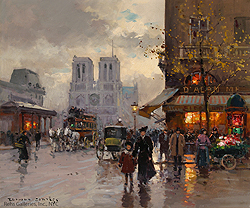 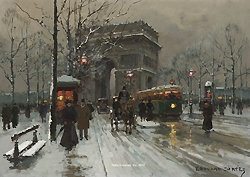 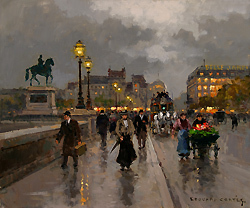 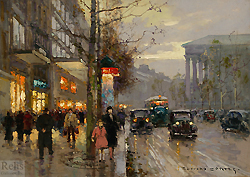 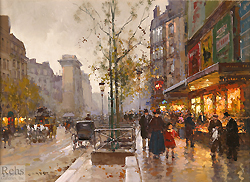 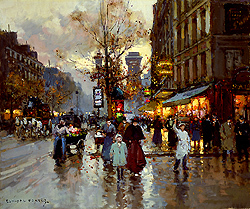 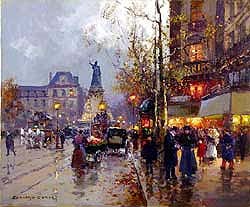 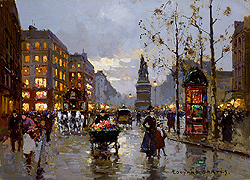 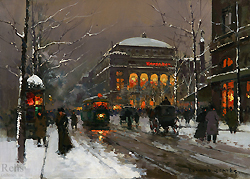 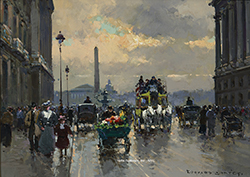 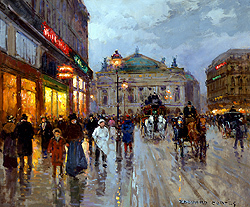 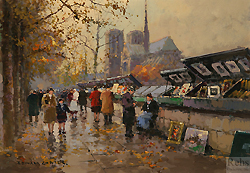 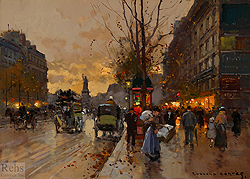 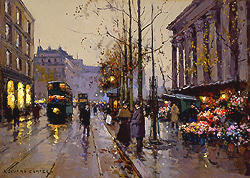 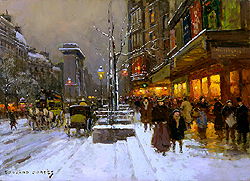 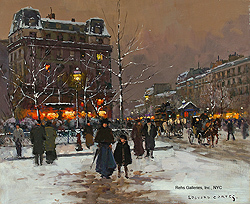 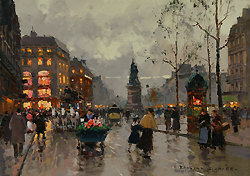 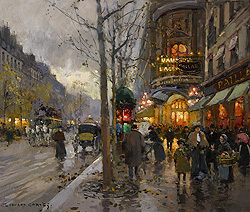 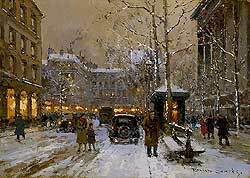 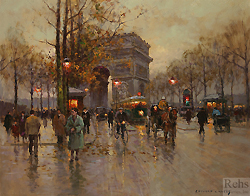 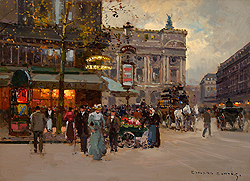 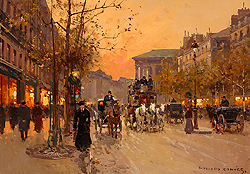 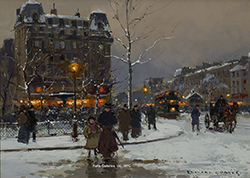 Please note that all information and images displayed on this web site are the property of Rehs Galleries, Inc. and may not be reproduced in any manner or form without the express written permission of Rehs Galleries, Inc.
For publications featuring the works of Edouard Cortes please visit our BOOKS page. 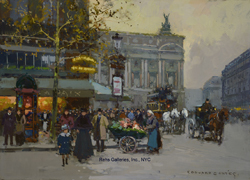 Unless otherwise noted on the specific page, all information and images displayed on this web site are the property of Rehs Galleries, Inc.
and may not be reproduced in any manner or from without the express written permission of Rehs Galleries. 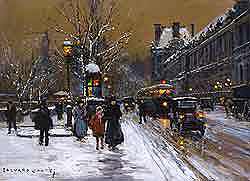 Inc.
Rehs Galleries, Inc. is committed to providing digital services, including its websites, that are available to the widest possible audience and in accordance with accessibility standards, and is engaged in continued efforts to ensure that this website is accessible to those with special needs, including those with visual, hearing, cognitive and motor impairments. 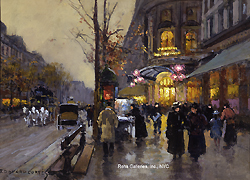 If you come across a page or feature you find inaccessible or difficult to use, or if you require or desire assistance, please contact us at: [email protected] (212) 355-5710. 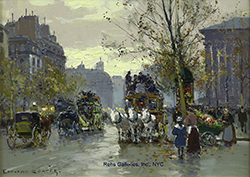 We thank you for your interest in our services.